Core acupuncture is conveniently situated in the heart of Hull’s Old Town. Grammar School Yard is easy to access of the A63 making it within easy reach for not only residents of Hull but also Beverley, the villages east and west of the city and the wider East Yorkshire area. Core Acupuncture is owned and run by Jane Marsh who provides traditional acupuncture through individualised treatments to maximise each patient's health and wellbeing. These treatments are based on the priciples of Chinese Medicine which is very different from Western Medicine and results in a completely fresh view on each patient's health. Are you struggling with a long term illness or pain? Do you often feel unwell but are unable to find the cause? Would you like to feel less stressed and have more energy? If the answer to any of these is 'Yes' then acupuncture could help you. Contact fully qualified and insured acupuncturist Jane today to find out how she could help you. Jane at Core Acupuncture is a member of The British Acupuncture Council (BAcC), the UK's largest professional/self- regulatory body for the practice of traditional acupuncture. Membership ensures a high level of professional training, and ongoing continuous professional development as well as working within a strict code of conduct. All BAcC members are fully insured and registered with their local environmental health department. 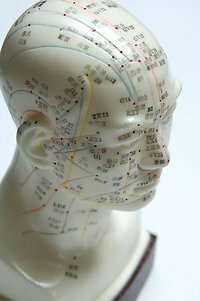 To learn more about acupuncture and The British Acupuncture Council Click here. The BAcC was one of the first organisations to become PSA accredited. This scheme is designed to recognise that an accredited organisation maintains high standards of training, safe practice and professional conduct.